Hong Kong might be one of the most wired cities on the planet, but its copyright legislation remains a product of the pre-Internet era – a situation that has ramifications for businesses, consumers of web content and an increasingly digitalised media alike. The failure to update the city’s Copyright Ordinance certainly isn’t for lack of trying. First enacted in 1997, the Ordinance has been subject to successive amendments that attempted to clarify matters such as the type of work that can result in criminal liabilities if copyright is infringed, to the number of copies of a publication that can be made or distributed without constituting an offence. But the most recent attempt to update the law, which began in 2013, sparked massive controversy and was ultimately abandoned by the government earlier this year. Whether this can be viewed as a victory or setback for freedom of expression (and consequently the press) in Hong Kong is still a matter of considerable debate. In essence, the Copyright (Amendment) Bill 2014 was an attempt to make the Ordinance more technologically neutral, and to balance the need to protect the interests of copyright owners with the right to free speech. It extends the rights copyright owners have over their work to the digital realm and also establishes a “safe harbour” for Internet providers that limits their liability for copyright violations occurring on their networks, provided they take reasonable precautions – changes that are broadly in line with international practice. More controversial was an attempt to safeguard free speech by extending the right to use copyrighted material without fear of criminal or civil liability if it is for the purposes of – significantly for journalists – reporting or commenting on current events; quotation; and/or “parody, satire, caricature and pastiche”. In the eyes of the administration and much of the business and legal community, this was a relatively generous set of conditions that, in the words of a Hong Kong-based former intellectual property counsel to the US Senate, Stacy Baird, likely constituted “the broadest free speech exception in copyright law anywhere in the world.” Critics, however, including “netizen” groups and most of the city’s democratic-leaning lawmakers, argued the exceptions were ambiguous and did not go far enough. Among the key demands of the bill’s opponents were a broader exception for user-generated content (UGC), which includes mash-ups of copyrighted images or video footage, or fan versions of music videos or songs disseminated on social media. Critics also called for measures to prevent companies from overwriting these exceptions in business contracts. More broadly, the bill’s detractors have argued that by limiting “legal” copyright infringement to a few specific categories like parody and reporting, the government is trying to confine the scope and format of debate. In essence this is a push for Hong Kong to move towards the US-based “fair-use” treatment of copyright versus the “fair-dealing” approach generally adopted here, in Commonwealth countries such as Australia, Canada and the UK, and much of Europe. Protesting against Hong Kong’s proposed copyright law, which some Netizens claim is the Article 23 of the Internet. While the basic principle of both approaches is the same – that people should be free to use copyrighted material in certain circumstances – fair dealing is generally viewed as more restrictive, since it limits permissible copyright infringements to specific categories stated in relevant legislation. Under fair use, on the other hand, broader principles or factors are used to judge whether the use of copyrighted material is indeed “fair”. In the US context, these factors include whether the copyrighted material is used for commercial purposes, the amount or portion of copyrighted work used, and how the use may impact a copyrighted work’s market value. This approach obviously gives the courts more leeway in deciding what constitutes acceptable infringement. The Hong Kong government has claimed that shifting to fair use would constitute a far more ambitious overhaul of the territory’s intellectual property regime than was envisioned in the last set of amendments to the Ordinance. It was also reluctant to apply a general exception for UGC, noting the definition of such content is ambiguous and that few jurisdictions have adopted exclusions of this kind. In the current political climate these debates proved impossible to resolve and in March the bill was moved to the bottom of the legislative agenda, effectively suspending it indefinitely. Incidents like the recent bookseller disappearances, Hong Kong’s declining ranking in press freedom indexes and a series of high-profile attacks on journalists show there is every reason to be concerned about the right to free speech in the city, and wary of government attempts to subvert it. But there are also indications that the opposition to the Copyright (Amendment) Bill may have overshot the mark. First, it must be remembered that any attempt to challenge an individual or organisation’s rights to use copyrighted material under the exceptions outlined in the bill would ultimately end up before the city’s courts, where, given the city’s own laws and international precedent, it would face significant scrutiny. As Baird has pointed out, no lawsuit of this kind has been brought against an individual in Hong Kong’s history – presumably for the reason that such a case would prove very difficult to win. Also, one need only look at the US for proof the fair use stance is far from immune to legal challenges or debate. A long-running case brought by Universal Music Group against a mother who uploaded a video to YouTube of her toddler dancing to a (Universal-owned) Prince song resulted recently in a landmark decision from the 9th Circuit Court of Appeals, which firmly established the obligation of copyright owners to consider the fair use concept before ordering content creators or distributors (like YouTube) to remove unauthorised work. 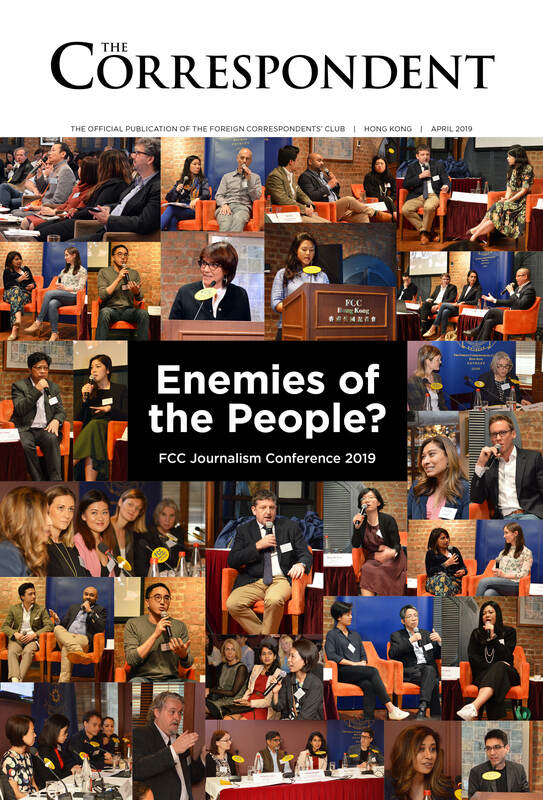 The decision was hailed by free speech advocates, but agencies such as the Reporters Committee for the Freedom of the Press noted it should be seen as a double-edged sword for journalists. It affirms their rights to use copyrighted content in the course of their activities, and makes it more difficult for companies to use takedown notices as a means to target negative press. However, it also sets a higher bar for journalists (and publications) seeking to protect their own work when it is reproduced or used in an unauthorised way. Similarly, it is hard to see the current situation in Hong Kong as a victory for either side of the copyright battle – or for reporters. The collapse of the copyright bill had more to do with a general lack of trust in the current administration, and the city’s polarised legislature, than any serious flaws in the updated legislation. The end result is that the regime governing the replication and dissemination of copyrighted information, particularly via online and social media channels, is incomplete and ambiguous. This may make it easier for journalists to use this information in the course of their duties without fear of repercussions. At the same time journalists and their employers may have little in the way of recourse when their intellectual property is reproduced online without due credit or citation; or manipulated in a way that may damage their reputation. A new, less fractious and (hopefully) more credible administration may yet resurrect the bill in some form and bring copyright legislation in line with technological realities and the highest international standards. In the meantime, reporters, bloggers and media companies alike will have to labour in an uneasy state of limbo. In spite of the 9th Circuit Court of Appeals ruling that copyright owners should “consider the fair-use concept before ordering content creators or distributors to remove unauthorised work, Prince earlier this year would have none of it. During Prince’s last tour, he continued his staunch opposition toward fan recordings of his performances. Virtually all footage from the tour’s concerts, including brief 15-second Instagram clips, have been taken down. Fans were not happy, particularly those who fail to secure tickets to shows that typically sell out within seconds. In a landmark copyright decision, the US Court of Appeals for the Ninth Circuit affirmed in 2015 the 2008 ruling of the US District Court for the Northern District of California, holding that copyright holders must consider fair use in good faith before issuing a takedown notice for content posted on the Internet. Stephanie Lenz posted on YouTube a home video of her children dancing to Prince’s song “Let’s Go Crazy”. Universal Music Corporation (Universal) sent YouTube a takedown notice pursuant to the Digital Millennium Copyright Act (DMCA) claiming that Lenz’s video violated their copyright in the “Let’s Go Crazy” song. Lenz claimed fair use of the copyrighted material and sued Universal for misrepresentation of a DMCA claim. In a decision rejecting a motion to dismiss the claim, the district court held that Universal must consider fair use when filing a takedown notice, but noted that to prevail a plaintiff would need to show bad faith by a rights holder.